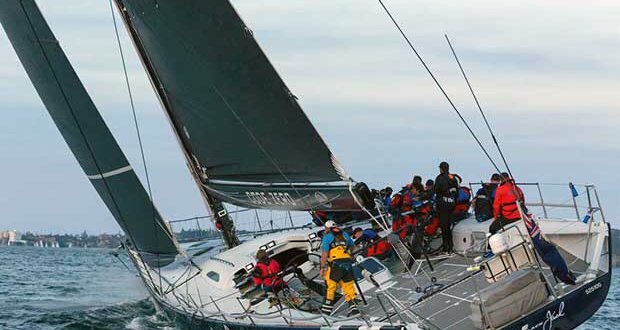 Just months after purchasing the boat, Zoe Taylor’s Cookson 12, G.O., took the win in Race 4 of the Cruising Yacht Club of Australia’s prestigious Blue Water Pointscore – the Cabbage Tree Island Race – topping IRC, ORCI and PHS divisions. Noel Cornish’s Sydney 47, St Jude, was second on IRC and Howard Piggott’s Beneteau First 40, Flying Cloud, third. Peter Harburg’s hundred-foot Reichel-Pugh, Black Jack, was the first across the line after leading from the start and building a healthy advantage over closest rival Wild Oats XI, the legendary boat retiring while on the return from Cabbage Tree due to time constraints. The race itself will be remembered as a light wind race with a challenging start which saw two general recalls due to boats being over the line. A collision on the second start between Eve and Komatsu Azzurro resulted in Komatsu retiring from the race, thankfully with no injuries reported. After the third start the boats were off and out the heads, Black Jack leading from the front ahead of Wild Oats XI and Wild Oats X. Before the race Black Jack’s skipper Mark Bradford had identified the light forecast as an opportunity for their boat to perform to its strengths, and for overall winner on IRC, Zoe Taylor’s G.O., it was the same. Applying much of the pressure to the winners were second placed on IRC, St Jude, owned and skippered by Noel Cornish. Despite finishing runner up, the result propels St Jude to the top of the Blue Water Pointscore overall standings ahead of Derek Sheppard’s Black Sheep and Sam Haynes’ Celestial. Meanwhile in the battle of the big boats, Black Jack skipper Mark Bradford was delighted to have his boat shining in light conditions. An area they’ve worked hard to be strong in. 2017 has been an exciting year for followers of the Black Jack brand. 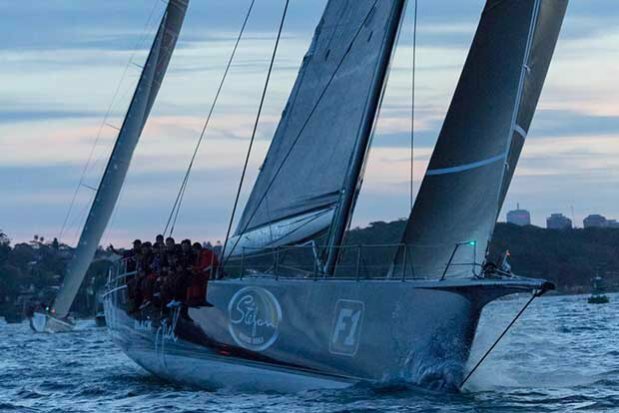 The hundred-footer debuted in its latest form in the CYCA’s Land Rover Sydney Gold Coast Yacht Race back in July but after extensive work, the boat nearly didn’t make the start line. Full results and overall standings can be found here.